A cinder cone volcano is a steep-sided conical volcano characterized by loose rock fragments from eruptions. These fragments include pyroclastic material, cinders, volcanic ash, scoria, etc. Cinder cone volcanoes can erupt spectacularly shooting lava and volcanic ash high into the air. From hurricanes to earthquakes and volcanoes, there are many natural disasters that humans face while attempting to shape the world. The United States is in a position to experience all of these disasters and many more. Many of these disasters shaped our view of the world and became embedded in myths and legends of our ancestors as they tried to understand the chaotic world they lived in. With improved tools and technologies, we now understand these disasters for what they are: natural functions of our planet as it changes and reacts to changes. As climate change continues to alter the world, it is leading to increasingly frequent patterns of extreme weather, like frequent and strong hurricanes, droughts, and forest fires. Even without climate change, natural disasters are a trial for the world to deal with because of their unpredictability. Earthquakes are very difficult to predict and the best we can do is understand the chances of an earthquake happening and preparing for it. This all starts by understanding the mechanics of an earthquake, its correlated causes, and signs as well as a myriad of other factors. Volcanoes, by contrast, are relatively easier to predict because we understand the many different warning signs of a volcano beginning to erupt. This all starts, as with any natural disaster, by understanding what composes a volcano, how do we group them, and what patterns do they follow that we can use to predict their occurrence. Volcanoes are a representation of the power that can come from the Earth as it shifts and changes over time. They are known for their fiery, wild, and chaotic explosions that can have worldwide consequences. 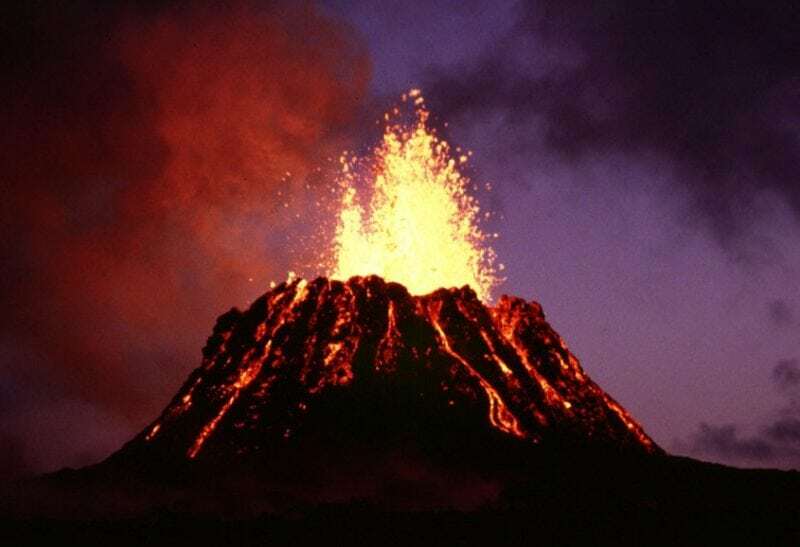 A volcano is essentially a rupture in the Earth’s crust because of accumulated magma and gases below the surface. The ruptures occur when the accumulated gases and magma reach a critical point that the crust can no longer contain. The intensity of the eruption is wildly diverse as it is dependent on the amount of magma and gases that built up as well as the amount of pressure that was created. The resulting eruption releases very hot lava, volcanic ash, and gases into its surrounding. These materials, especially the volcanic ash, can destroy and reshape the surrounding landscape as well as kill anything within it. Some eruptions can be as tame as lava slowly seeping out of a volcano, like many volcanoes in Hawaii. Volcanoes are found all over the Earth, but many are primarily located along the edges of tectonic plates meeting with other tectonic plates. The constant converging and diverging that occurs at these locations allow for the large accumulation of magma and gases. This is why there are so many volcanoes surrounding the Pacific Ocean, also known as the ring of fire. Volcanoes can also be found throughout the solar system and beyond. Volcanoes on the moon allowed it to have a temporary atmosphere that was composed of volcanic ash and gases. Volcanic activity also created the many hollow tunnels beneath the moon. 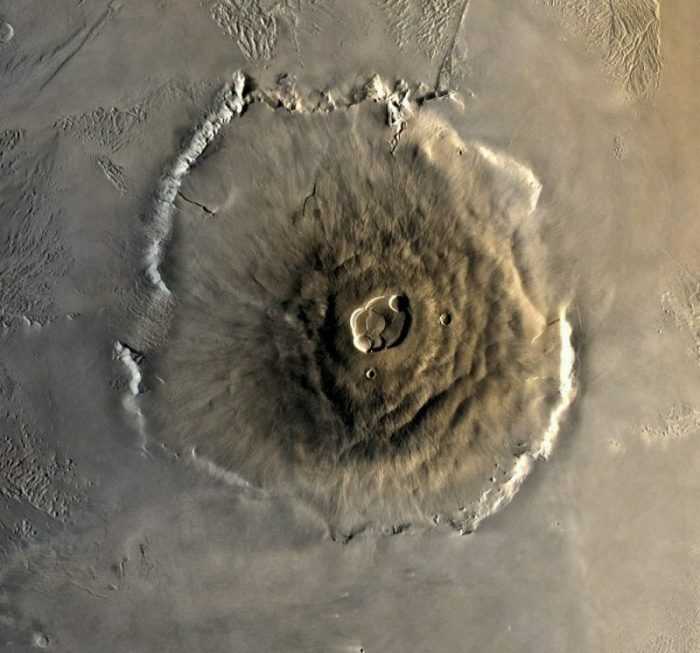 The largest known volcano in our solar system is Olympus Mons, which is located on Mars. It is three times as large as Mount Everest. It is thought that it grew so large because of the slow movement of Mars’s tectonic plates, which allowed a greater accumulation of magma below the surface. Researchers believe that Olympus Mons and other volcanoes on Mars are inactive as the core of the planet has cooled considerably. 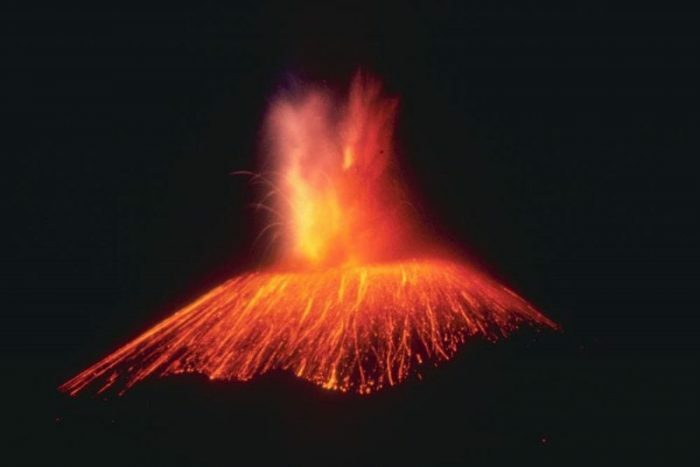 As with anything, volcanoes can be grouped and classified as we develop greater understanding about the nuances between the different volcanoes. Of interest here are the cinder cone volcanoes. Among the different volcano types, cinder cones are the simplest and most commonly what many of us imagine a volcano to look like. They are easily recognized by their steep angled sides and cone-like shape. They have a single vent that lava, ash, and gases escape from as they move into a bowl-like crater that forms the top of the volcano. They are formed by the accumulation of small particles of lava. As the lava is ejected from the single vent, it breaks into small particles of solidified lava that falls onto the ground around the vent. As they accumulate, they form a cone shape with steep angles. The cinders are the particles of lava, which completes its name of cinder cone volcano. By volcanic standards, they tend to have fairly small eruptions that are weaker than most other volcanic types. This means that there is not a lot of magma and gas accumulation below the volcano. They are also fairly short and tend to be small hill sized volcanoes that rarely exceed 1,000 feet high. They are fairly common in the western parts of North America. They are also commonly found flanking other volcano types. About 100 cinder cone volcanoes have been found around Mauna Kea, a shield volcano in Hawaii, by geologists. One of the most famous cinder volcanoes was Parícutin in Mexico. It started to grow in 1943 and achieved a height of 1,200 feet because of the large amounts of lava that spilled out. It was active for nine years and covered a 100 square mile region around it in ash. The duration of the volcano allowed scientists to research the formation and activity of a cinder cone volcano, adding to our knowledge and understanding of them. Image of the 1943 eruption of Paricutin that was captured by NOAA. With any natural disasters, it is equally important to predict and prepare for them. When a volcano is about to erupt, it offers some signs that give us time to engage in protocols to protect ourselves. Some of those signs include hundreds of small earthquakes that are caused by magma rising through the crust, increase in temperature around the volcano, and release of gases in the surrounding area. These signs are gathered through numerous studies of volcanoes because they are apart of many people’s lives. As with volcanoes, hopefully, we can develop better instruments to predict and prepare for other natural disasters.